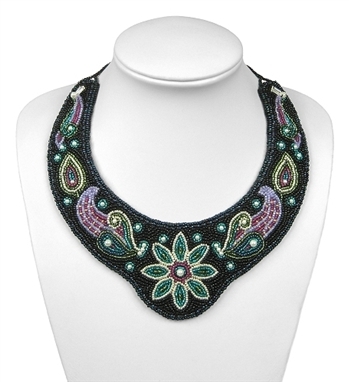 This beading kit includes everything you need, except a needle, thread, and glue. 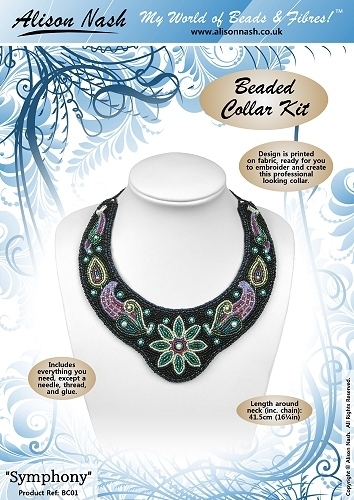 Design is printed on fabric, ready for you to embroider and create this professional looking beaded collar. Full-colour photos and clear instructions. BEAD KITS > Shabby Chic Beaded Flower Brooch Kit - Blue BEAD KITS > Bead Embroidered Wishing Well BEAD KITS > Bead Embroidered Pendant Kit "Midnight Blue" BEAD KITS > Bead Embroidered Pendant Kit "Enchanted"